Legendary rockers Van Halen will be making an appearance at the Bradley Center on September 25th as a part of their North American tour. Ticket King Milwaukee is your source for Van Halen Bradley Center tickets when they become available. Van Halen's 2012 tour comes at the heels of their latest album, A Different Kind of Truth. This album is the group's first album in 14 years. 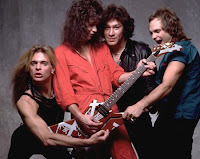 Van Halen first burst onto the music scene in 1978 with the release of their first album, Van Halen. Since then, they have sold over 75 million albums making them one of the most successful American rock bands. Over the years, Van Halen has seen various lead singers come and go, but the band currently consists of David Lee Roth, Eddie Van Halen, Alex Van Halen, and Wolfgang Van Halen. Van Halen at the Bradley Center should be an exciting night for fans of hard rock!